In many of my previous blog posts I have touched upon the topic of acceptance. The acceptance of your life, your wounds and scars, your personal history. I deeply believe it is through acceptance, not through denial or repression, that we heal and become whole. It sounds easy, but it is often more difficult than we believe. It somehow seems so much easier to resist, fight, and deny. Recently I’ve been thinking of one area of acceptance that in my life has passed by a bit unnoticed. I have become more aware of my roots. I have started to see my own country in a different light. I have spent many years in Asia and Africa, and of course those years have influenced me a lot. At times I have been extremely critical about my own country, and I’ve only seen all its negative aspects. Now I have been back home in Finland for two years. During the past year I have also spent several weeks in Sweden, our Western neighbor, that I very much like. A new acceptance and appreciation has begun to grow in me. I understand that in many ways I have been lucky to have been born in this Northern country with cold winters and long distances. I have started think of my family and my ancestors. I’ve come to a point where I look at myself and understand that there were lots of people before me, and I am only a part in a long chain of generations. And as I’ve been mulling over and experiencing these openings of new vistas, I have also thought of one foreign country that has a special place in my heart: Vietnam, where we lived for five years. 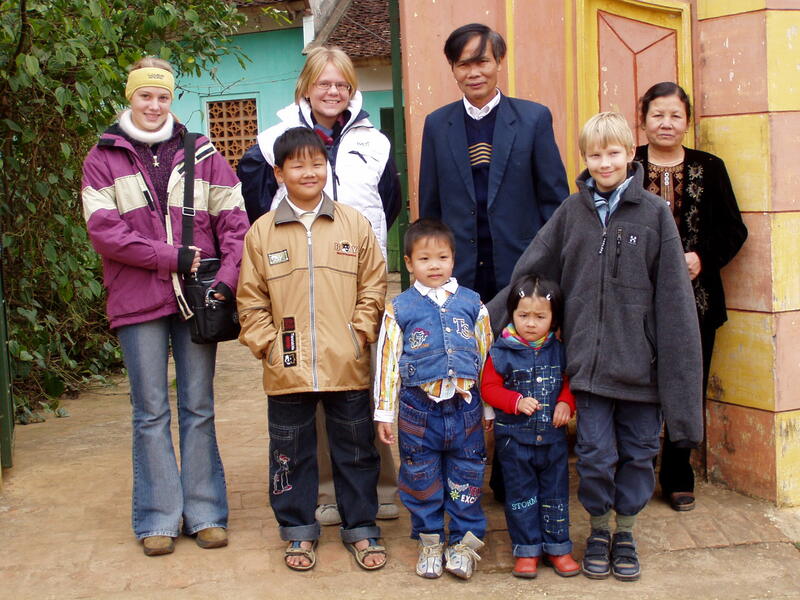 In Vietnamese culture ancestors have always been a living part of also the present day. In 2005 I was able to participate in a meeting in Hanoi in which spoke a Vietnamese Buddhist monk Thich Nhat Thanh. He had come to visit his own country after over 20 years of exile in France.